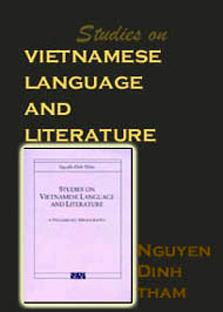 Studies on Vietnamese Language and Literature: A Preliminary Bibliography, by Nguyễn Đình Thâm. Cornell University, Southeast Asia Program, 1992. 228pp. 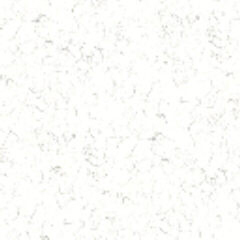 US$18.00 paper. Nguyễn Đình Thâm gives his book the subtitle “A Preliminary Bibliography” and refers to it as a “work in progress”. He is much too modest. His bibliography of works on Vietnamese language and literature, and also on the language and literature of Vietnam's ethnic minorities, contains over 2,500 entries and is an extremely useful tool for scholars interested in Vietnamese studies. This reference work, however, lists only works in Western languages – mostly in English and French, but some in Russian, Bulgarian, German, and other languages. Since crucial research is often written in Vietnamese, and never translated, this work is obviously not a complete list of writings on each topic. Nevertheless, Nguyễn Đình Thâm has assembled a surprising number of works in Western languages – more works than I knew existed. One value of this collection is that it provides a convenient overview of Western scholarship in Vietnamese studies. One learns, for example, that the Tale of Kiều (ca. 1800), Nguyễn Du's famous verse narrative, has been translated not only into French and English, but also into Bulgarian, Greek, German, Polish, Romanian, Slovak, and Swedish. One learns also that apparently not one of Nhất Linh's (1906-1963) novels has been translated into any Western language, although his novels were tremendously popular and influential in the 1930s and 1940s and continue to be read today. Works are classified under four major headings: Vietnamese Language, Vietnamese Literature, Vietnamese Folk Literature, and Ethnic Minorities Languages and Literatures. Within these major divisions works are arranged alphabetically by author. An index of names is included at the end of the volume. The Vietnamese Language section includes subsections labeled “General”, “Bibliography and Reference”, and also subsections for the different fields of linguistics – grammar, phonetics, sociolinguistics, and so on. The literature section is subdivided into “General”, “Bibliography & Reference”, “Collections”, “Literary Studies”, “Individual Authors & Works – Studies & Translations”, “Literary Works Written in English & French by Vietnamese Authors”, “Literary Works about Vietnam by Foreign Authors”, and “Juvenile Literature”. The third section, Vietnamese Folk Literature, contains subsections on general and bibliographic works and literary studies and also subsections on different types of folk literature: narratives (tales, legends, myths), lyrics (songs, ballads, lullabies), sayings (proverbs, riddles, rhymes, and ditties), and “folklore life” (religions, manners, and customs). The works in the final section relating to ethnic minorities are arranged by language groups: Mon-Khmer, Tibeto-Burman, Malayo-Polynesian, and Viet-Muong. The weakest subsection is the one called “Literary Works about Vietnam by Foreign Authors”. Only eighty-seven works are listed – but there are thousands more. Sandra M. Wittman lists over 1,700 in Writings About Vietnam: A Bibliography of the Literature of the Vietnam Conflict (Boston: G. K. Hall, 1989). The choices, too, are odd. Several obscure works that have drawn no critical attention are listed but well-known works like Michael Herr's Dispatches and Tim O'Brien's Going After Cacciato are missing. Perhaps Nguyễn Đình Thâm concluded that works in this category would appeal more to scholars in American or French studies than to scholars in Vietnamese studies, clearly his primary audience. Inevitably this reference work will be compared to David G. Marr's recently published bibliography Vietnam, volume 147 in Clio Press' World Bibliographical Series (Oxford, 1992). The two works, however, differ greatly in focus. While Nguyễn Đình Thâm concentrates on language and literature, Marr surveys works in many areas – travel, flora and fauna, cuisine, and science and technology, for example, as well as language, literature, history, and politics. Marr provides useful annotations for his entries, a feature missing in Nguyễn Đình Thâm's work. Marr, however, includes only about 125 entries on language and literature as compared with Nguyễn Đình Thâm's 2,500. But the difference that may prove crucial, at least for potential purchasers, is price: Marr's work sells for $110! At $18, Nguyễn Đình Thâm's volume is a real bargain. Nguyen Dinh Tham. Studies on Vietnamese Language and Literature: A Preliminary Bibliography. Southeast Asia Program Series 10. Ithaca: Cornell University Press, 1992. 228 pages. Paper US$18.00; ISBN 0-87727-127-5. During the Vietnam War, tens of millions of dollars were spent by the U.S. government on surveys, interviews, field studies, and documentary translations, all designed to inform the higher government echelons about the Vietnamese enemy and the immediate sociopolitical context in which the conflict was being waged. Officials who allocated such monies did not consider the study of Vietnam's language and literature relevant to achieving victory. Inside American universities, meanwhile, several hundreds Ph. D. dissertations about Vietnam were produced in the disciplines of political science, history, and applied education, yet only a handful were written in the fields of linguistics and literature. Following the end of the war in 1975, U.S. government funds for studying anything about Vietnam dried up completely; this was mirrored in the universities, where no more than five or six acknowledged specialists managed to hang on to academic positions, and a whole generation of graduated students avoided Vietnam like the plague. From about 1988, interest in Vietnam began to revive in the United States, although still focusing on the American experience in the war. By 1992 Vietnam had almost become the flavor-of-the-month, with economists, development studies experts, commercial lawyers, and management specialists enjoying the highest profiles. Many of these American academics were retreads from China studies, but by 1995 the background profile was more diverse, and other disciplines were represented, notably anthropology, history, archaeology, and demography. Even linguistics and literature gained a foothold. Studies on Vietnamese Language and Literature appears to be the fruit of one Vietnamese migrant laboring assiduously in Montreal since 1975, launching bibliographical sorties on major library collections, compiling a personal card file, and eventually gaining the attention of established scholars at the Cornell Southeast Asia Program. We cannot be sure, since the compiler, Nguyen Dinh Tham, provides no background to his project. It would have been nice if Mr. Tham had included a brief introduction to his bibliography telling us, for example, how and where the data was collected, specifying his criteria for including or excluding items, explaining how he delineates “literature” from “folk literature”, and maybe even offering readers a few pages on how Western interest in Vietnamese language and literature began and was sustained in the more than three centuries since Fr. Alexandre de Rhodes published his Vietnamese-Portuguese-Latin dictionary in Rome (entry 138). Whatever its genesis, Studies on Vietnamese Language and Literature is a valuable bibliographical tool for any researcher who wishes to dig deeper into the Vietnamese experience than the economic forecasts, statistical surveys, and consultant reports that dominate the output today. The volume contains approximately 2,500 entries divided into four sections: “Vietnamese language” (29% of entries), “Vietnamese literature” (37%), “Vietnamese folk literature” (16%), and “V.N. ethnic minorities languages and literatures” (18%). No Vietnamese language publications are admitted to this bibliography, a restriction that should have been made clear in the book's title. The closest one gets to Vietnamese is the seventy bilingual dictionaries (including rare Pali-Vietnamese, Polish-Vietnamese and Vietnamese-Lao publications) and the seventy or so Western textbooks for learning Vietnamese. Perhaps Tham plans a second bibliography devoted entirely to relevant Vietnamese publications. Among the Western languages represented in this bibliography, French occupies the pride of place with at least 45% of the total entries, spread evenly across the subject areas. This reflects the serious commitment of French scholars as well as the capacity of Vietnamese intellectuals to publish in French. It also demonstrates to young graduate students the necessity of accessing French-language materials on topics as diverse as writing systems, historical linguistics, pre-colonial poetry, twentieth-century fiction, folk narratives, and Tibeto-Burman languages. English titles make up about 35% of the total entries, being best represented in those parts of the bibliography dealing with Vietnamese language and ethnic minorities, but less evident in the literature and folk literature sections. Russian scholars have made important contributions to research on Vietnamese lexicology, grammar, phonetics, and semantics; curiously, they are almost entirely absent from the study of ethnic minority languages and literatures. German, Hungarian, and Polish scholars made cameo appearances in this bibliography. Unfortunately, an extensive corpus of relevant publications in Japanese is ignored completely, and very few Chinese-language titles are included. Perusing the nineteen-page index of names, one can discover who are the most prolific scholars of Vietnamese language and literature. At the top stands Nguyen Dinh Hoa, with fifty-six entries, including dictionaries, textbooks, linguistics, and folk riddles. Close behind comes Huynh Sanh Thong, with fifty-four entries, followed by David D. Thomas with twenty-five entries. Three French scholars are quite well represented: André Haudricourt (twenty-five entries), George Cordier (twenty-four entries), and Maurice Durand (twenty-one entries). Nguyen Dinh Tham has managed to uncover some rare books and journals; even those specialists who think they know everything will be in for a few surprises. However, the problem remains of how to track down individual titles. When I tried on my computer to search several library catalogs via Internet, almost none of the “treasure-house” items in the bibliography could be found. It is a pity the compiler did not include venue codes, at least for rare entries. Annotations to individual works are very sparse, listing, for example, multiple authors contained in an edited volume or indicating where a book was reviewed. More annotation is needed especially with works of fiction, as often the title alone is not very revealing. Also, amidst the hundreds of translations of Vietnamese literature, it would have been nice if Tham had signaled for us which renditions are superior, and whether English translations had come via French (which is often the case). One has the impression that the compiler was too modest, anxious not to impose his value judgments on readers. Although the overwhelming impression when perusing this bibliography is favorable when it comes to general coverage, inevitably a few gaps can be found. In the ethnic minorities section, there are no entries for the overseas Chinese (Hoa). The Khmer language is well represented, but nothing is listed for Khmer literature and folklore. The subsection on literature collections in translation contained twenty-nine poetry anthologies and thirty-five fiction anthologies, but not one drama compendium. The compiler seems uncertain about how to deal with nonfiction prose, in the end mostly ignoring it as a literary category. The section “Literary Works about Vietnam by Foreign Authors” opens a Pandora's box when it lists only about thirty-five titles by American poets and novelists on the Vietnam War. Nonetheless, Studies on Vietnamese Language and Literature is a handy reference tool at a time when academics and students alike are starting to look beyond economic reports. Even economists should take note of the fact that Nguyen Dinh Tham has managed to locate sixty-five studies and translations in ten different languages of the Tale of Kieu, an early nineteenth-century epic poem by Nguyen Du that continues to entrance Vietnamese, young and old. This bibliography will be quite helpful not only to Vietnam specialists but to comparative linguists, folklorists, and cultural studies analysts as well. Teachers developing courses on Asian literature in translation will also find many valuable leads.